On Monday January 19th, 2015 at approximately 2:10am, the Port Washington Fire Department was dispatched to a report of a houseboat fire at 12 Matinecock Ave. 1st Assistant Chief Brian Waterson  arrived on scene and requested a Signal 32 for a working houseboat fire. The alarm was quickly upgraded to a Signal 10 and then to a 2nd Alarm as the fire extended to an additional houseboat and another small boat. 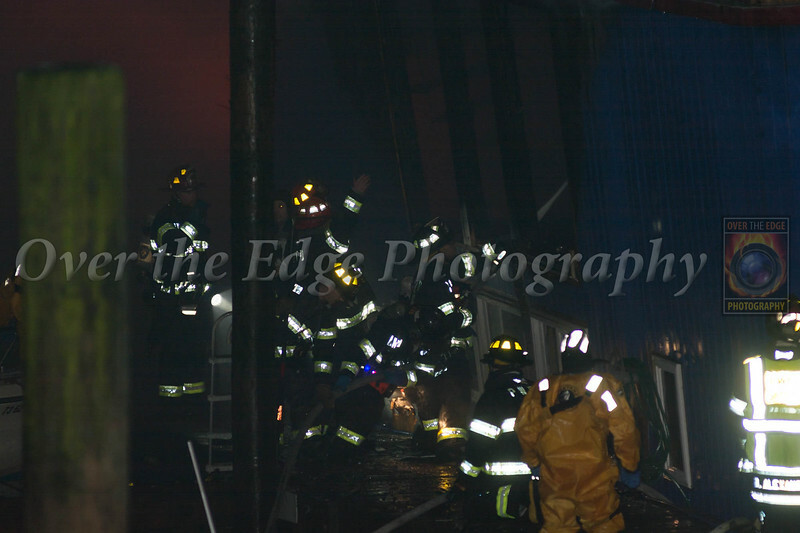 Engine 8513 was first due and began stretch hand lines onto the dock to battle the fire. Crews had a difficult time accessing the fire due to icy conditions on the dock. Because of the icy conditions, rescue swimmers were placed along the dock incase any member slipped off. With the fire being on the docks, 85M1 was requested to the scene to attack the fire from the water. FDNY Marine 6 was also requested but had an extended ETA to the scene. Multiple hand lines were placed into operation to extinguish the fire on the multiple boats as well as to protect the other boats not involved. Mutual Aid was requested from the Manhasset Lakeville Fire Department, Great Neck Vigilant Fire Company, Roslyn Highlands Fire Department, East Norwich Fire Department, Plandome Fire Department, Glenwood Fire Company and Albertson Fire Department. The fire was placed under control approximately 1.5 hours. 4 civilians were transported to the hospital for evaluation. The Fire Marshal is currently investigating the cause of the fire.